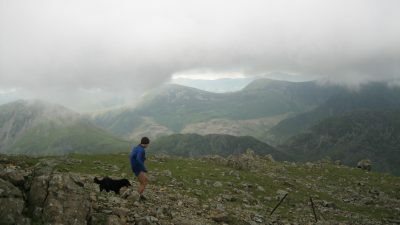 Home » News » Berghaus Trail Chase - The chase was ON!! 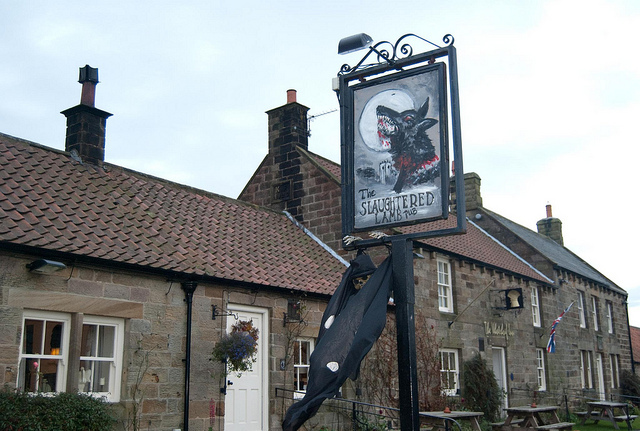 The North Yorkshire Moors remind me of the American WereWolf in London. Classic funny horror film with 2 American actors, Jenny Agutter & a smattering of classic British actors to boot, like Rik Mayall in a cameo role, Brian Glover & John Woodvine as the doctor involved. So it was a great pleasure when Shane employed me to set/plan 3 trail running courses in the North Yorkshire Moors for the Berghaus Trail Chase. The American Werewolf in London has been etched in my mind & phrases like "beware the moon lads" & "keep to the road". I did actually find the Slaughtered Lamb, not sure if this is a tourist attraction since the film, or the actual pub... I think the former is more reasonable to believe. It's just on the edge of the moors, near Whitby. Anyway, the film aside & into the real interest, the Berghaus Trail Chase (BTC). Thought up by Shane Ohly, MD & RD of Ourea Events. 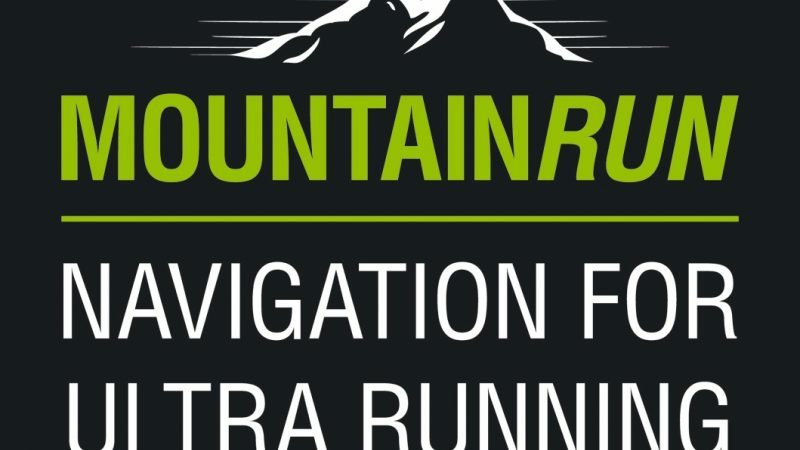 The idea behind the BTC is to give a stepping stone from trail racing into the world of mountain marathons. The BTC is built around a similar concept to the Great Lakeland 3Day Challenge, being that you race with only day kit & we the events organisers carry your overnight kit by van to the overnight campsite. The west side of the North Yorkshire Moors (NYM's) played host to the initial events centre, using the Osmotherley Show Ground just to the south of Osmotherley as the events centre. I arrived on Wednesday 13th Aug to make sure the ports-loo's were in place at the events centre & the overnight camp at Chop Gate (pronounced Chop'Yat by the locals). Thursday brought my first mentally hard task of thinning out the bracken on day 1 of the black course. At this point I should explain the events concept fully. The BTC has three course levels of difficulty, these are determined by distance & ascent. Like ski runs, they are BLUE for beginners, RED for experienced & BLACK for experts. The idea is that everyone has the first days racing & the winner finishes in lets say 2 hours, then as you finish you take your time minus the leaders time & the difference is how long you start behind the leader the following day. So for example, if you finish in 2:10, then you start 10 minutes behind the leader for day 2 & you have 10 minutes to chase them down. If you cross the finish line first, then you win!! Simple really & it makes for very exciting racing. Plus, its not just about the winner, its about beating the person in front of you, so it really is a Trail Chase! Day 1 starts were not located at the events centre, all competitors, whether on the Blue, Red or Black course were transported to different start locations so we could vary the distances, allowing 2 days of running without replicating the courses at all. Day 2 had the Red & Black courses start from the overnight camp at Chop'Yat whilst the Blue competitors were bussed, only just due to the narrow moorland roads, to a different start location, as the overnight camp was 16km at the shortest distance, where as the day 2 Blue course was only meant to be 10km. This year has been a mega growth year in the UK. Farmers have experienced almost double silage crops & the bracken has gone crazy in the Lakes, some of it being over 8ft high, so it stands to reason that the NYM's would be the same, and they were. My BLACK day 1 course was thwarted with bracken at the end of the course & this needed clearing. So off I went, slightly naively thinking it wouldn't be too bad to clear. I had a few 100 meter sections & one section of roughly 1000m to get through. The first sections went ok, that is until I hit the 1000m section. I had a hand scythe, supplied by Ourea Events. I set too cutting a track through the 8ft high bracken. Just for info, there was a sheep/human trod to follow, but unlike the Lakes, this area doesn't get frequent walking, so the path was completely overgrown. In total, this 1km section of bracken took me 5 hours!! I was out on the black course for over 8 hours & I only did about 10km that day. Suffice to say I was exhausted!. Today I had to complete the Black Course bracken cutting, as I'd not finished the day before, I got mental nobbled & had to call it a day. I set to early and was cutting bracken, reeds & thicket by 08:00, I was finished soon after, got back the van & headed back to the events centre. I'd done 8km running & grinding. Next job for the afternoon was to course check the Black Day 1, that was being signed by a local runner Ian Hodgeson. This was a 28km run on top of yesterday & this morning. Should be fine, but I was knackered already from Rab MM control marking & M24 course setting & collecting from a few weekends before. I walked a lot of the up hills & ran steady for the flats and downs. Sun rising higher on Friday morning. The day was pleasant, but as I was moving along I was getting phone calls from the volunteers course setting that some game keepers didn't know about the event. How was this? I had done my permissions work, but as the day progressed it became evident to me that land owners/agents are not the same estates as those who have the shooting rights!! Therefore they are different game keepers & not all the people I had spoken to, had passed the information onto the correct person. Therefore we were going to have problems. The next issue was how to manage these & make sure the event ran as smoothly as possible. Ads I was mulling this over, between conversations with game keepers I got to were the black course should have started its penultimate descent. Shock horror, I was confused, the markers were gone!! I was completely demoralised by this. I got the the end, spoke to a local farmer, got all the details of the game keepers & other local farmers & started ringing round to find out what had happened. Eventually I got to the bottom of it & sorted it out. All the game keepers & farmers I spoke to who didn't know about it & had removed course markings, once spoken to, were very pleasant & accepted the event. Real gentlemen! And so the weekend went on slightly like this. We decided the best thing to to was prove the course (re-mark if necessary) 1 hour before the runners set off, thereby making sure the markings were in place. This worked a treat, but put a real strain on the marshal team. Everything went smoothly & according to plan. 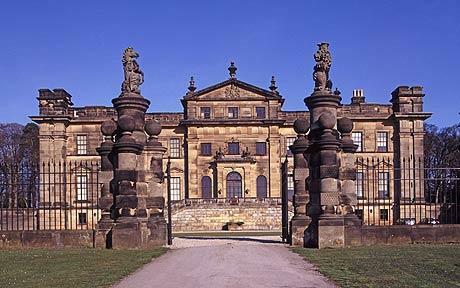 I started the RED course off at Duncombe Park, a very grand stately home, built in the 18th century for the present owners. Duncombe Park Hall, a very grand start! Getting ready for the starters orders! Check out the transport in the background. The runners had good, but often tough days. Some complaints about the courses, but this was very minor, lots of compliments on the courses & the markings. Lots of happy runners! The evenings entertainment was slightly downcast, the singer wasn't so jolly & jovial, but people love the beer & cider supplied by Whylam Brewery and the WILFS veggie sausage casserole went down a treat. Again the courses were proved in the morning before the runners set off. This was a massive task & the marshal volunteers really did well, one of them (Andrew Burton) had to re-sign the course after someone removed the flags as the race was in progress!! It was a weekend of mishaps & errors, but all was over come. Everyone really enjoyed the chase aspect & a lot learnt that places aren't always gained by being the quicker runner, that sometimes your competition in front take the wrong course, even if it is well marked & that you can pick up places quite easily without even trying!! We used sweep runners each day to clear up the course markings & so for a change, both Shane & I, after very longs days & a pretty hectic weekend, we able to leave the events centre on the same day the race finished, having cleared up all the road safety signs. We only had the vans to unload on the Monday morning. With all races, competitor feedback is ultra important. As if we don't know what you think, how can we improve anything?? A few comments about day 1 running on the BLACK & RED courses means there will be some tweeks. The BLUE start will most likely change. There are alway improvements to be made, and one major one for next year is to make sure that the game keepers all know what is happening & the event will move forward slightly, to keep outside of the Grouse Season, which starts on the 12th August every year. The essence will be the same, the running WILL be great. We'll try to book the weather again, but ask the wind to stay away this time & of course you can guarantee this part... The CHASE WILL BE ON!! Are you fast enough to catch the runner in front?? Get yourself entered to find out in 2015! Starting the Blue course on the Chase, day 2. Day 2 Red course runners charging past the Day 2 Blue start.